The State Department published many of Henry Kissinger's public addresses, statements, remarks, testimony, and press conferences in its publication Department of State Bulletin ("The Official Weekly Record of United States Foreign Policy"). The Ford Library has additional Kissinger statements scattered among textual collections in the Library's holdings. 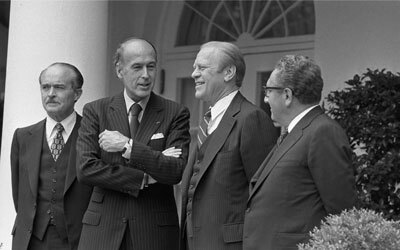 The links below make available a substantial record of the public side of American diplomacy during the Ford administration.